Guess who's coming to Stage AE this spring?! That's right the incredible hard hitting – Bullet For My Valentine are taking to the road for 2018, bringing with them special guest supports such as; Trivium & Toothgrinder! 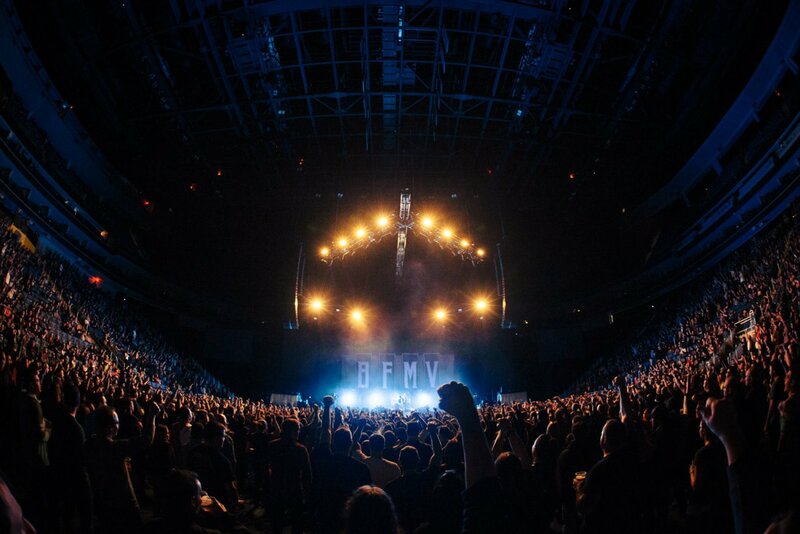 BFMV fans are gathering all across the Country so this is bound to be a wild and intense show! There's no time like the present to come and be a part of it as they perform on Monday 14th May 2018!! Tickets available today. BFMV aka Bullet for My Valentine are a heavy metal group hailing from Wales in the UK, as one of the biggest on the scene, they have grabbed the attention from many fans, reporters, critics and labels alike ever since their debut back in 1998. Since then, Matthew Tuck (lead vocals, rhythm guitar), Michael Paget (lead guitar, backing vocals), Jason Bowld (drums) and Jamie Mathias (bass guitar) have been traveling on extensive tours performing their greatest songs and never failing to give an insanely good show that people just can't get enough of! You can hear in their music their influence from their hometown and surrounding back in Wales and of course classic metal acts such as Metallica, Iron Maiden and Slayer. Throughout the years they have given to the world incredible albums such as their debut The Poison, in 2005 in the United States to coincide with Valentine's Day, to match their name and showcase themselves to the world. With an instant success, the record was certified gold by the Recording Industry Association of America. And after a few months were getting offers for main festivals globally, BFMV hit the ball rolling at the Download Festival and Kerrang! XXV, and undertook a U.S. tour with Rob Zombie. Their second release followed in similar footsteps with Scream Aim Fire, debuting at number four on the Billboard 200. Now as the most-successful act in the Kerrang! Awards category of "Best British Band" with three wins – BFMV are one of the most talked about, especially to see live! If you get the chance don't miss them as they celebrate 20 years doing what they do best!